Telling Right From Wrong: Why Is Utilitarianism Under Attack? It is a word we hear from time to time, but few of us know what it means. Utilitarianism is the method most people use to decide whether an action is right or wrong. We decide the moral merits of what we do on whether the consequences of that action are good or bad. But utilitarianism has recently been in the firing line of the press and radio and by some moral philosophers. A person may possibly not need the benefits of others; but he always needs that they should not do him hurt. We cannot help but agree with those statements – that each of us has a major need, perhaps our dominant need, not to be harmed. But also, if we have suffered some harm, some wrong, we want that harm to be redressed. The harm could come in any of a dozen different ways. Directly, by physical damage. Or indirectly, by being misled by a false advertisement, or by an email scam. And if we are suffering, or in difficulties, we deeply appreciate help to relieve those difficulties. But utilitarianism is under attack. 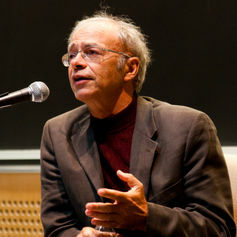 In a recent article for the ABC Religion and Ethics website, Thomas Wells tore apart Peter Singer’s plea for humane treatment of animals. In the article, Wells attacked Singer’s path-breaking book Animal Liberation. Wells describes Singer’s “official utilitarian argument“ as “flawed”, “mistaken”, “incoherent” and “implausible”. He repeats that the book carried a “utilitarian line“ or “utilitarian argument” on several occasions. In fact, Singer, who is a utilitarian, does not describe his deep care for animals as utilitarian. He does say that animals have feelings too and that they should not be mistreated. It is the same reason the live export trade or battery hens have come under fire. The title of Wells’ attack is also a little incomprehensible. “Does the utilitarian argument for vegetarianism add up?” Utility, as Wells should be informed, does not advocate vegetarianism. Another attack came in a University of Melbourne supplement carried by Fairfax media a few days later. Laura Soderlind argued that utilitarianism, “which still influences current ethical thought”, is often summarised as the outcome that produces “the greatest good for the greatest number”. That means that we can torture people to get information helpful to a good cause, she tells us. Or that an assassination of Adolf Hitler, which would have saved millions of lives, would have been morally justified. Unfortunately for Soderlind’s argument, utility does not say that. We are to treat even an Adolf Hitler, or a terrorist, as a member of the human race. Mill’s assertion, “the moral rules which forbid mankind to hurt one another”, is buried deep in human emotions. They are the reason there has been such an outcry against the CIA torturing detainees at Guantanomo Bay. The last attack to mention is more serious, for it is in a “best-selling” textbook by an internationally known ethicist Will Kymlicka, used by students taking courses in justice and in ethics across our universities. Kymlicka gives several types of utilitarianism, concentrating his attack on Jeremy Bentham, a forerunner to Mill, and on Singer. He makes no mention at all of Mill’s “do no harm”. Bentham gave us “the greatest good for the greatest number”, an aphorism that no moral philosopher has endorsed since, and that even Bentham may have back-pedalled on. It is also the version that Soderlind says gives us approval to torture. Singer advocated a version termed preference utilitarianism in his book Practical Ethics. Singer asserts that we should try to meet peoples’ preferences. Kymlicka makes no mention at all of Mill’s “do no harm”, although it is a universal prescription for moral action. Could academic and media competition be turning Utilitarianism into a philosophical football? So why do ethicists, moral philosophers and newspaper contributors condemn utilitarianism? Your guess is as good as mine. Is it the publish or perish syndrome, which does encourage academics or reporters to push the ethical envelope at times? Or was Aristotle disagreeing with Plato, a philosophical reasoning method that has lasted 2000 years? Or is it, as stated in the Catholic Encyclopaedia, that, “In the hands of Bentham and his disciples, Utilitarianism dissociates morality from its religious basis”? Peter Bowden does not work for, consult to, own shares in or receive funding from any company or organisation that would benefit from this article, and has no relevant affiliations.